Morpeth is a market town fit for mooching. Gather your gang, grab your coat and get to know this glorious Northumberland gem. Morpeth is a sought-after spot thanks to its proximity to city and countryside, good schools and a spirited community feel. Sitting in a peaceful location on the River Wansbeck, it’s the perfect port-of-call between Newcastle and the cute coastal villages of Northumberland. Get to grips with the area’s gorgeous properties, from characterful townhouses to sweet cottages, impressive new-builds and gorgeous country estates. Morpeth is indeed a desirable destination and a jewel in Northumberland’s crown. A market town with top class connections. Perfectly situated 15 miles north of Newcastle and 18 miles south of Alnwick, it’s a great stop-off spot if you’re making your way up the country. Just a mile from the A1, it is easily accessible by car from both northern and southern routes. But for those who prefer to switch off completely and travel on public transport, the links are just as easy and accessible. The recently updated bus station is easy to find near the Sanderson Arcade, with links to the rest of the county, as well as regular routes to Newcastle, Alnwick, Berwick and towards the coast. What really sets Morpeth apart as a desirable destination to live, visit and explore, is its reliable rail links. Part of the East Coast Mainline, Morpeth’s train station can take you as far south as London and as far north as Aberdeen. Nearby stations within easily-reached distance are: Newcastle, Alnmouth and Berwick – and if flying is your thing, Newcastle Airport is just a nine mile drive, with regular flights to the rest of the UK, Europe and beyond. This market town flourishes when it comes to forward-thinking fashion, food and interiors. Shoppers can get their fix of everything from department store desirables at Rutherford & Co., to boutique buys at Packhorse Yard and high street favourites at the likes of Mint Velvet, Laura Ashley and White Stuff. Shopping in Morpeth really comes into its own with the addition of the stunning Sanderson Arcade, bringing in beautiful retailers such as Hobbs, Whittakers, Paperchase, The Body Shop and Fat Face. Foodies can buy their goodies at M&S Foodhall, wine-lovers can stock up at Grape & Grain, and those looking for interior inspiration can check out the new season style at Tallantyre. Morpeth’s ever-growing food and drinks scene include a a fabulous farmers’ market the first Saturday of the month in the Marketplace and the impressive weekly markets every Wednesday with a growing range of quality local suppliers. 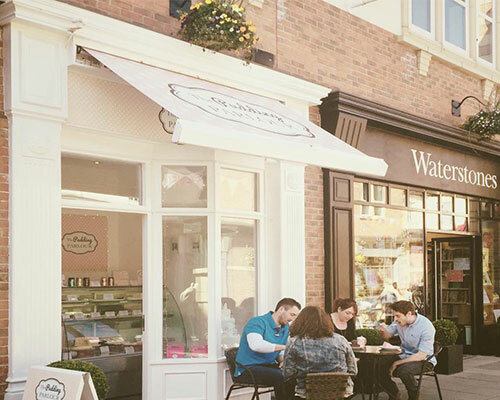 Wake-up with coffee at The Wheatsheaf Coffee Shop, enjoy good-for-you grub at Healthy Prep Kitchen, sweet treats at The Pudding Parlour, or brekkie bites and a good cup of tea at The Chantry Tea Rooms. Anderson’s Sandwich and Coffee Co. delivers the goods when it comes to lunch-on-the-go and Gianni’s is the town’s top restaurant for date night dinner. Barluga is the place to be for drinking and dining in a designer surrounding, and those partial to a gin or two will be delighted to hear of Pleased To Meet You’s arrival later this year. 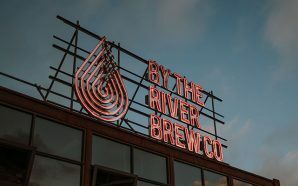 The vibrant venue has been serving seasonal sips and delicious dishes to the people of Newcastle for five years now, and we’re excited to see it take Northumberland by storm in 2019. 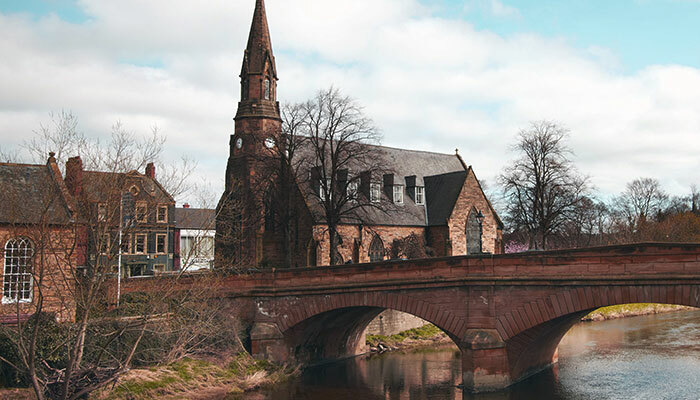 Whether it’s a leisurely stroll through the Sanderson Arcade, a trip to the Turner Garden in Carlisle Park, or a family fun-day at the Whitehouse Farm Centre, there’s plenty to keep you busy when it comes to stretching your legs and enjoying the great outdoors. To really get those legs working, why not enjoy a tranquil trail along the Wansbeck River route? A serene, circular walk starts in Carlisle Park with views of the Grade I Listed Morpeth Castle, before winding river routes and woodland paths take you towards Bothal. There are more than enough dog-friendly pubs and cafés in and around town if you’re mooching with your pooch, and plenty of pick-me-up lunch spots for refuelling mid-stroll. Kristy Giblin and Grey Small are the brains behind sweet treat retreat, The Pudding Parlour. Serving delicious cakes and bakes in Sanderson Arcade, it’s a paradise for pudding-lovers visiting and living in Morpeth. 1. There is an mazing independent trader community offering all sorts of incredible handmade products. 2. Morpeth has a wonderful programme of town centre events, from weekly markets to the Cocoa Cola truck coming each year and various Sanderson Arcade events all year round. There’s so much to see and do, and there’s something for the whole family to enjoy. 3. The people – so warm and friendly. 1. Carlisle Park is amazing. It’s huge and has a boating lake, park, splash park and loads more. Lots of our customers pick up cakes and treats to take down their for a picnic in the summer. 2. Whitehouse Farm for the kids – my two adore it. 3. The Pudding Parlour of course. Who doesn’t love a sweet treat? A nuclear bunker is located underneath the former council building at Morpeth County Hall near Loansdean. Who knew?